What is the scientific approach to determining if you are a plant cell biologist or not? You quantify it through your publications! Dr Martin Hodson’s approach does not only demonstrate his scientific way of thinking, but shows his humour as well. Furthermore, Martin is a great example of being a “digital researcher”. He has been engaging with online technologies for years and I like to use his social media presence as example of good practise in my training sessions. 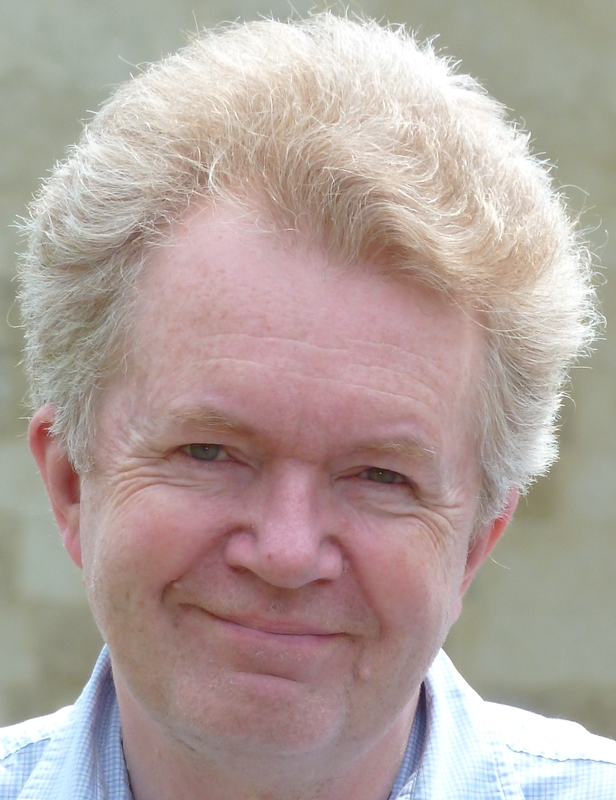 Follow Martin on Twitter under @MartinHodson1. For most of my career I have worked on plant mineral nutrition. I started studying salt tolerance in grasses for my doctorate, then I got into silica deposition in plants, and finally aluminium toxicity. This may not sound like plant cell biology, but in every case it was! Whilst doing my Ph.D. 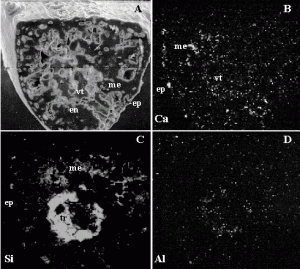 I began using electron microscopes, and I developed a specialisation in x-ray microanalysis, a technique for locating elements at the cellular or even subcellular level. In fact it was microanalysis that helped me get no less than five postdoctoral contracts (quite common in those days!). So I started with a degree and Ph.D. in Swansea, and then had jobs in Bangor (2 contracts), Jerusalem, Toronto and Birmingham. I finally arrived at Oxford Brookes in 1989 where I had a lectureship, and there I continued my research on silicon and aluminium (See Figure 1). It was all great fun. Over the last ten years or so I have branched out into more environmental work, but I still have a hand in plant science. 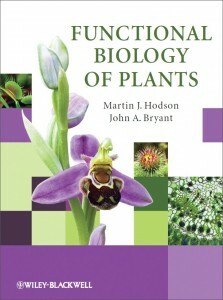 Most recently I collaborated on a major plant science textbook, “Functional Biology of Plants” with John Bryant of Exeter University. John mostly did the cell and molecular biology, and I mostly covered the whole plant and environmental material. But it was “mostly” in both cases, and I wrote quite a lot of the cell biology. Out of interest I had a look at my publications on Google Scholar. In July 2012 it says I have 91 publications. Of these I reckon 72 are plant science and 50 are plant cell biology in some way or another. So I am more than half a plant cell biologist!! The best things have been the incredible variety of projects I have undertaken, and the wonderful people I have worked with. If you look down my publications list you will see that I have collaborated with a whole range of scientists: chemists, food scientists, nutritionists, archaeologists, palaeoecologists, environmental scientists and even plant scientists. I counted and there are 81 individuals so far. The worst thing was when I got seriously diverted off into administration, which tends to happen to academics! The trickiest thing I ever did was to cut dry thin resin sections for x-ray microanalysis in a transmission electron microscope. Very fiddly indeed, and a lot worse than cutting onto water! I guess I can trace my interest in biology to my late mother, who was brought up in the Worcestershire, UK countryside and loved natural history. At high school I was one of the few people in my biology class that did not want to become a medical doctor. I also started to get a little squeamish and did not like blood. So when I went to Swansea University I took an unusual combination of Botany, Biochemistry and Chemistry in my first year. It turned out to be the best combination I could have taken for my future career. Funnily enough I was always better at Chemistry than Biology, but I was more interested in the latter. So when the time came to choose my degree specialisation I went for Botany. In those days this involved an awful lot of learning life cycles and drawing sections of various bits of plant. This was not my favourite area, but at least I know plant structure! My best subjects were plant physiology and biochemistry (remember plant molecular biology was hardly a subject in those days). On the day I got my degree result I was called in and offered a Ph.D. place to stay at Swansea. My topic was to be salt tolerance in grasses, and my supervisors were Helgi Öpik and Steve Wainwright. The former was one of the best plant electron microscopists of the time, and co-wrote the classic text “The Physiology of Flowering Plants”, which went into 4 editions. I like to think that our recent textbook is kind of the 5th edition, although ours is a very different book. Steve Wainwright was an accomplished environmental plant physiologist. So from Helgi I got “cell” and from Steve I got “environment”. So I became an environmental plant cell biologist, and I still am. Hmmmmm. Well I do such a variety of things, and quite often I am not sure whether I am working or doing my hobby. I am married to Margot, a vicar, and spend a lot of my time on church related things. When we are on holiday we do quite a lot of walking in the countryside, and we love history when we are in cities. Plant science is not very popular nowadays, particularly in the UK. But if you are a plant scientist or plant cell biologist, and you like it, my advice is to stick with it. It is such a crucial area for future world food production, and I can only see the need for plant scientists increasing. So I think you will be in great demand in future years. I would recommend trying to learn one technique that will set you apart from the crowd (mine was microanalysis). Nowadays you should also try to develop your own on-line presence (e.g. Facebook, Twitter, a blog), as it is vital to network with colleagues around the world.